Fat Jimmy’s answer to the famous Princeton Reverb, with several of our own personal modifications. 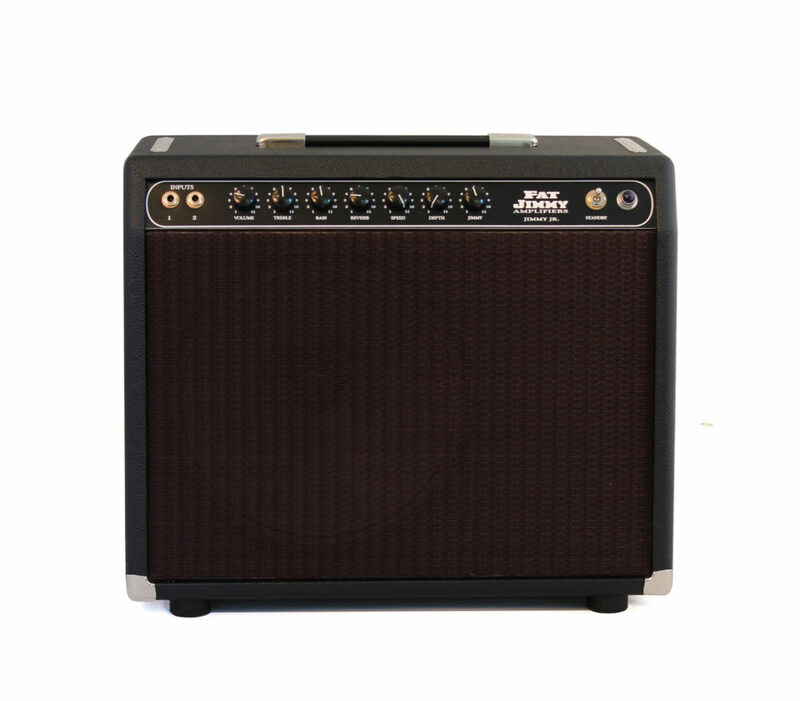 The Jimmy Jr. utilizes classic tube circuitry with ties to the tweed era of the 50’s up through the classic blackface era of the 60’s. 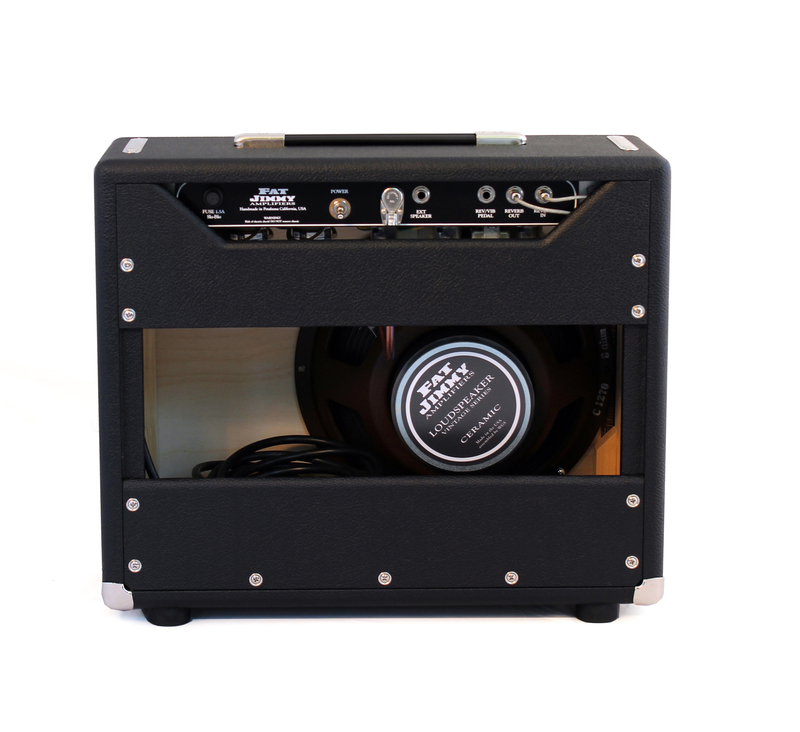 This unique blend of circuitry (along with a few of our own twists) creates a 12w amplifier that is simply unrivaled in tone and performance. You get the best of all eras! 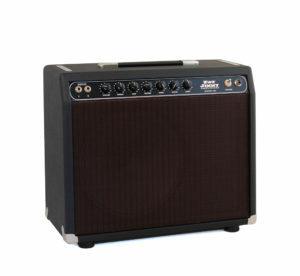 We have chosen to pair this circuit with a Fat Jimmy Vintage Series 12” C1270 speaker standard. The 12” speaker delivers a richness and fullness of sound that simply cannot be matched by a single 10” speaker. 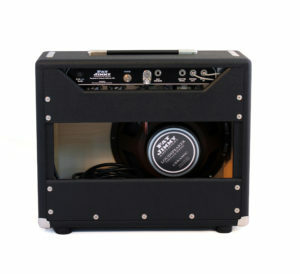 Of course, if a 10” speaker is just your thing, we can accommodate with a custom order. 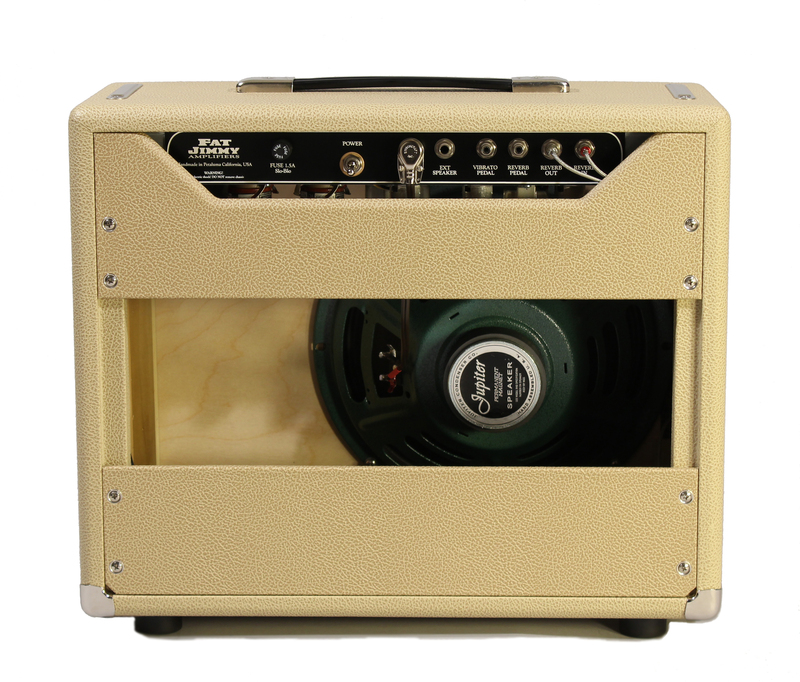 Features include tube driven spring reverb and a bias modulating tremolo that has a very rich, organic feel. Like all Fat Jimmy amplifiers, we use a combination of NOS, vintage, and modern components to give you the best possible tone and performance. 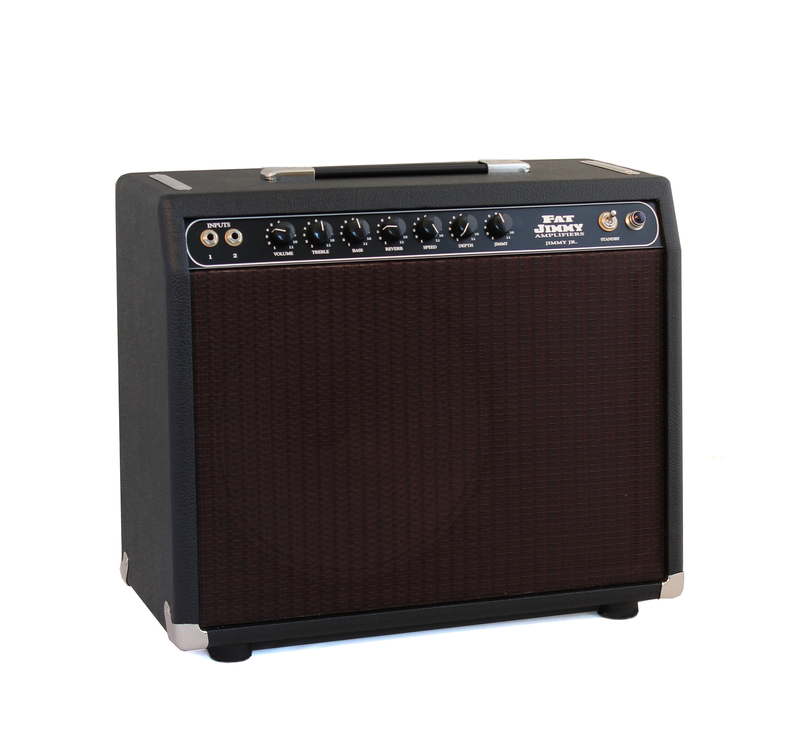 The Jimmy Jr. is perfect in the studio or on stage when a lower powered amplifier is preferred.